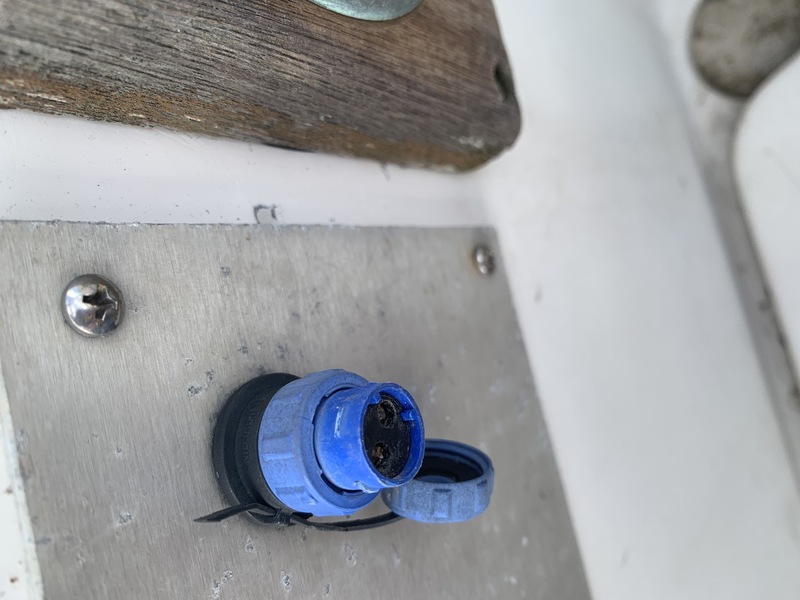 Westsail Owners Association - What is this solar cable? 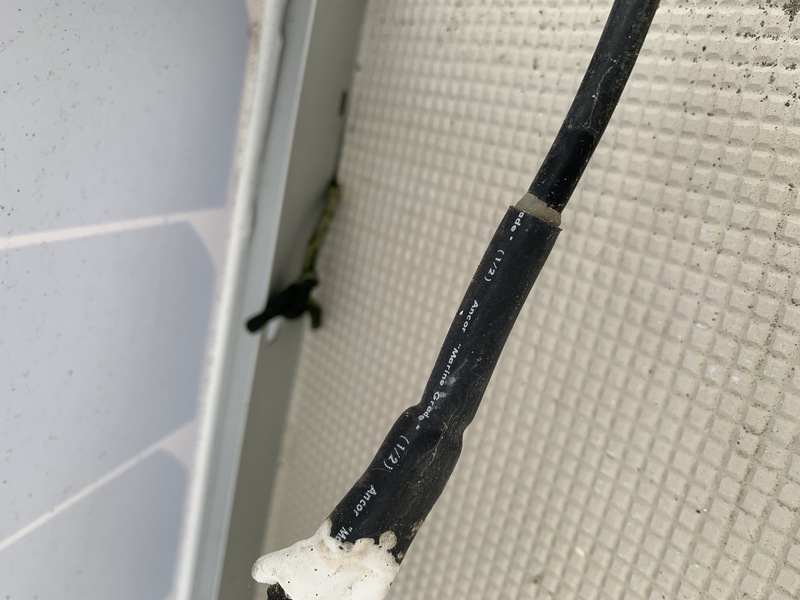 What is this solar cable? This holiday seasons brought many joys—and now many headaches. I've got two big issues to tackle, so I'll make two separate posts. 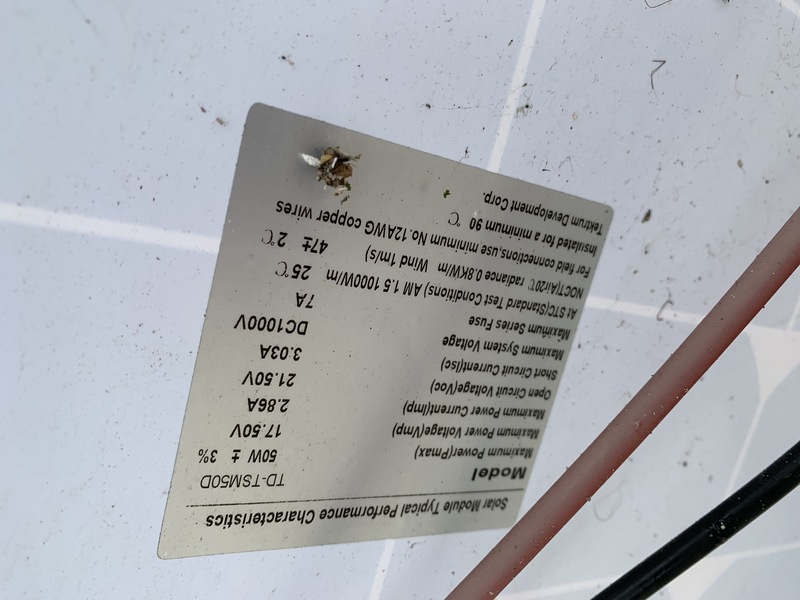 One issue is with my solar panel: I've discovered that the cord from my panel has been severed (who knows how), which has caused both of my batteries to die. 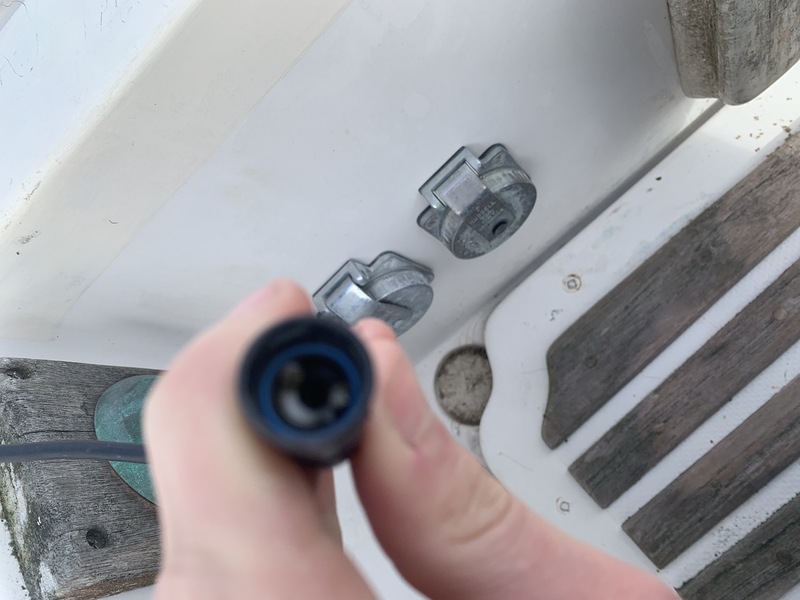 Replacing my batteries is an urgent fix for me, but I'm not about to do it until I can get a new cable—and no one seems to be able to tell me what sort of cable this is, or the fitting I need. 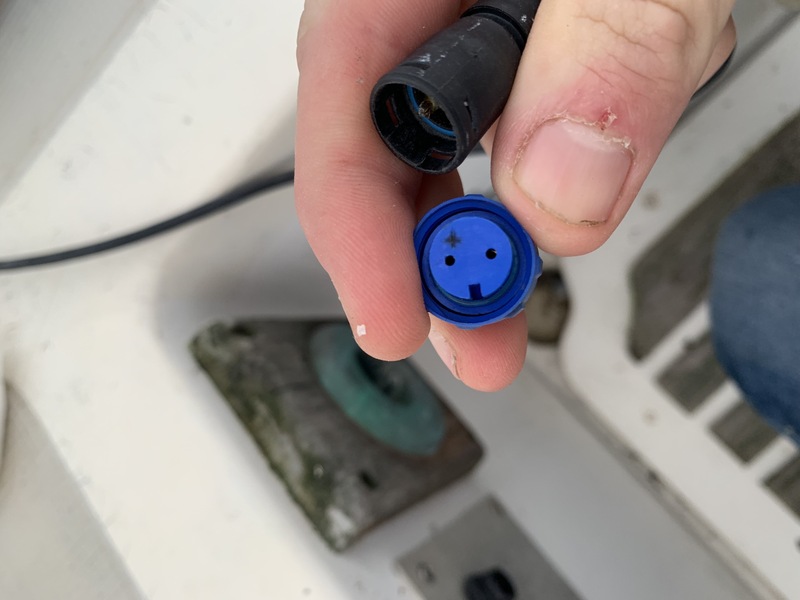 (I've emailed many an marine electrician, and either gotten shrugs, or no responses.) Does anyone know where I can get a replacement? 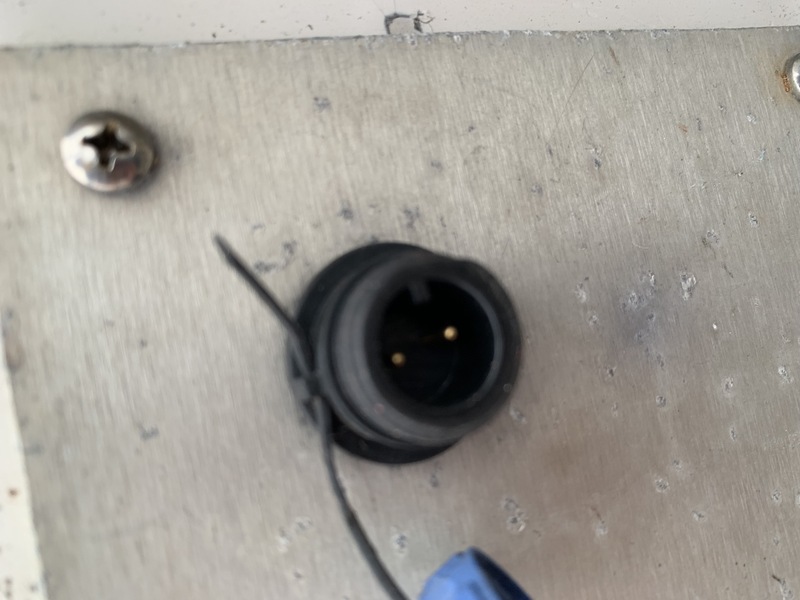 Not being an electrician, and only have the most basic idea of circuitry, I'm not sure which photos will be helpful, so I'm including as many as I can. Would love to get this tackled ASAP! David , good to hear from you . Happy New Year ! From those pictures , it looks like the plus and minus wires have been combined into one jacket so it can just use one plug . Kind of a nice arrangement . 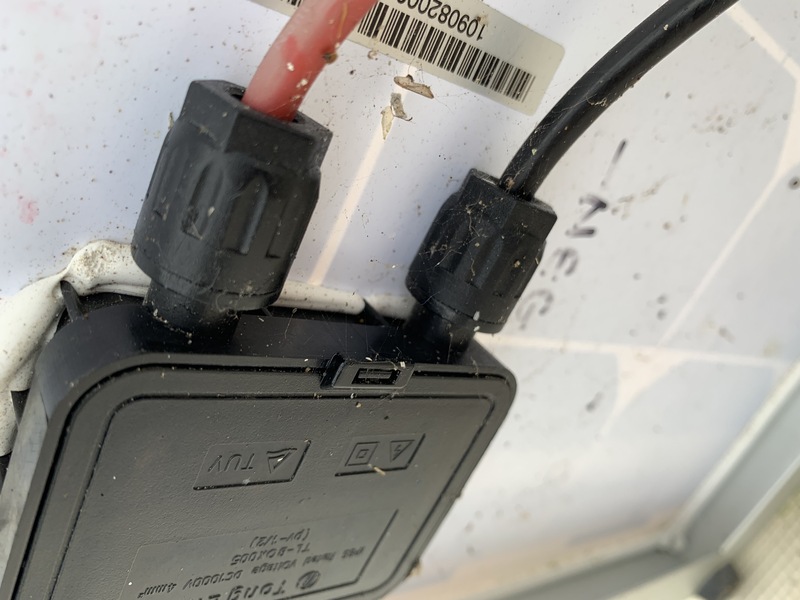 As far as re splicing the cut wire hopefully you can just go red/red blk/blk and put it back together . Do you have two panels linked together ? What wires are cut ? 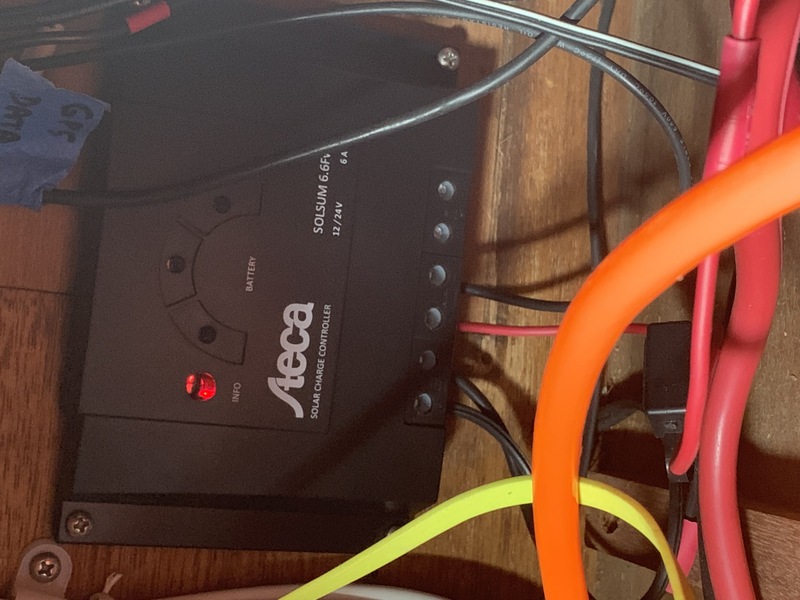 For just a single panel , it's a + and - wire coming off the panel and those wires go to the charge controller and it should be marked + and - . From the charge controller + and - wires go to the battery . Call me if you want , Mark .